I’m in London now, after last week’s white out drive. The snow has settled and this morning it started to warm up. Yesterday was mom’s 80th birthday. 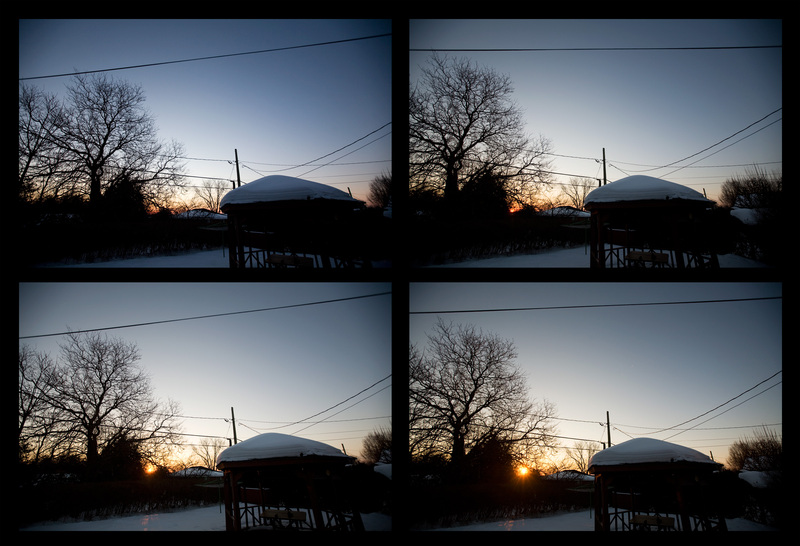 This morning the sun came up gently, slowly and warmed a clear blue sky that sailed all day over the melting snow.